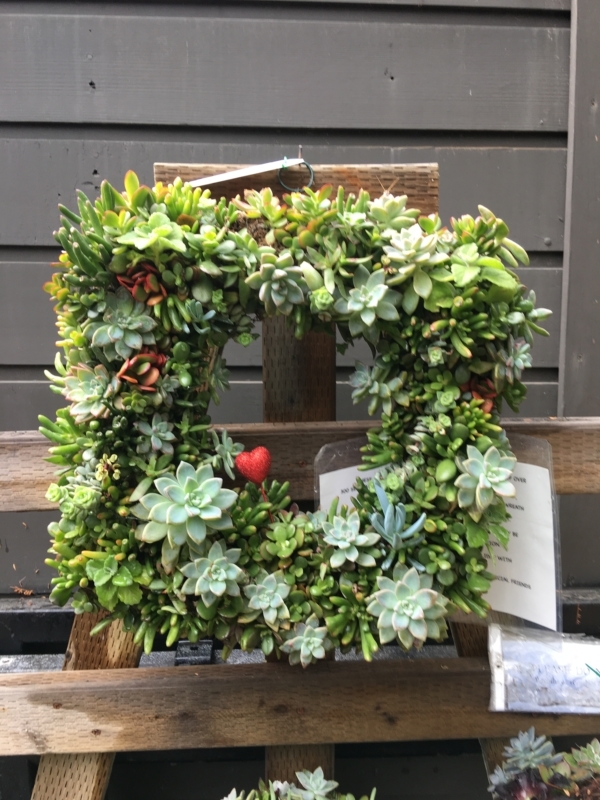 I was excited to hear that the Capital District Garden and Flower Show (March 23-25, 2018) is having a special category in the floral arrangement competition this year for succulents. I’m sure that will provide creative inspiration. I hope you get a chance to attend, as Balet Flowers and Design will be participating and will have a booth in the Exhibition Hall. 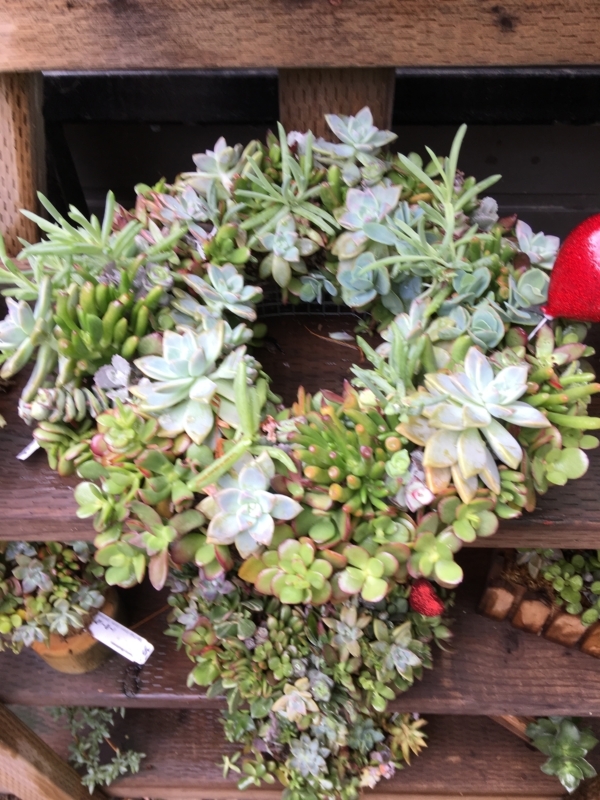 We have such an incredible assortment of succulents that we over-winter at the Garden Center and they will be ready this spring. Who knows, perhaps some will make their debut at the Flower Show. 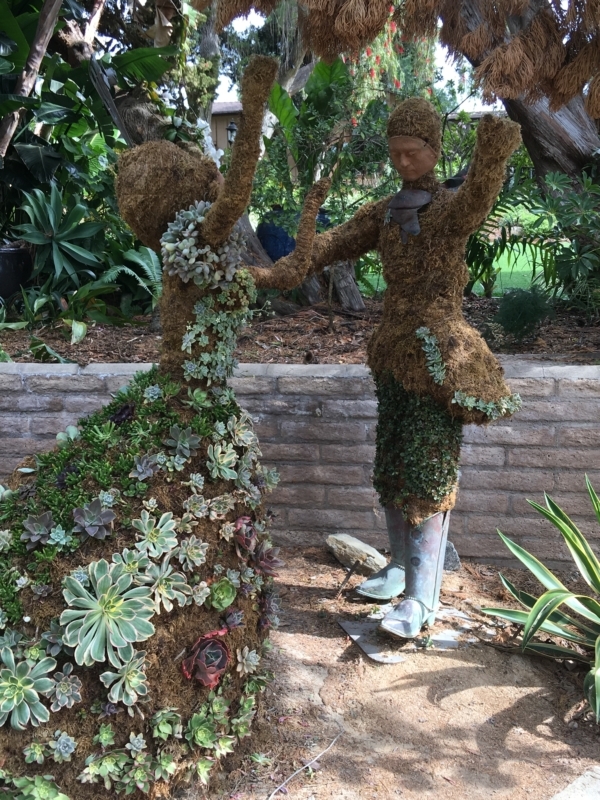 For more on succulents and the creative ways we can plant them in our outdoor spaces, read below about my recent trip to San Diego, including the San Diego Botanic Garden. Amazing creations they have made with succulents! As the winter blues and doldrums drag on I just needed a quick escape to a warm-weather vacation designation. This year we took a long weekend in one of my favorite cities on the west coast, San Diego. When I stepped off the plane it was a beautiful seventy-seven degrees with little humidity. Heaven! We rented a quaint beach bungalow that once belonged to the curator of the San Diego Zoo. It was a small bungalow that was built in 1929 and recently renovated. It was just want I needed. 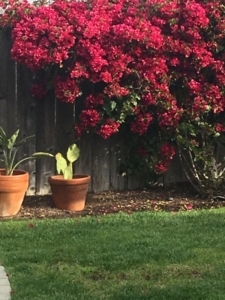 There was the most beautiful bougainvillea in the back yard. We drank margaritas sitting on the sun deck and ordered fish tacos from Oscars Mexican Seafood. Voted best fish tacos in the San Diego area. A well-deserved five-fish rating. Put on your flip-flops, grab the sunglasses and treat yourself. You will not be disappointed! We had two destinations in mind. We wanted to visit Joshua Tree National Park, which is about two hours away, and like all our beautiful National Parks is simply an incredible destination. And, finally, the San Diego Botanic Garden. I knew I was going to love the botanical gardens when we first drove up to the ticket center. The roof was covered in succulents. I’ve become obsessed with succulents. 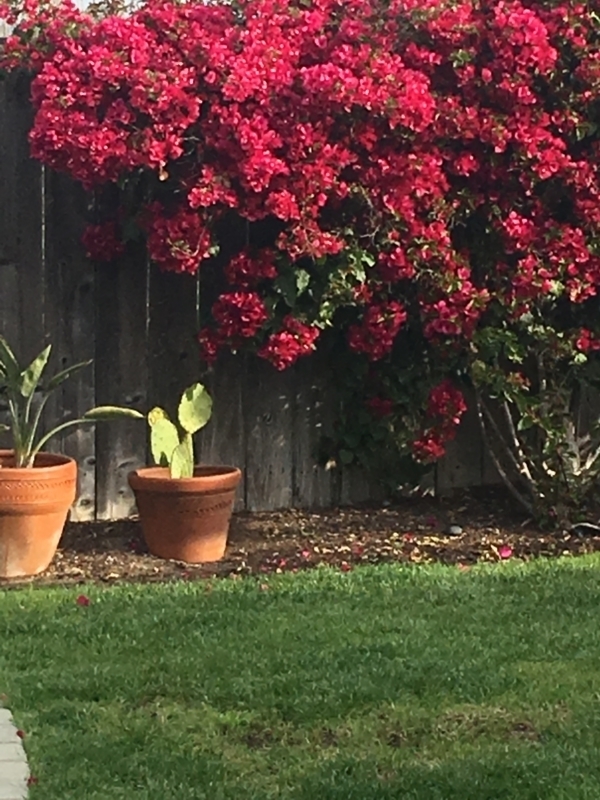 I love the beautiful variety and stunning colors that they offer gardens in our zone. Whether interplanted among rock or placed in container pots they offer such visual interest to the garden. They are relatively easy to care for and provide pops of color throughout the season. 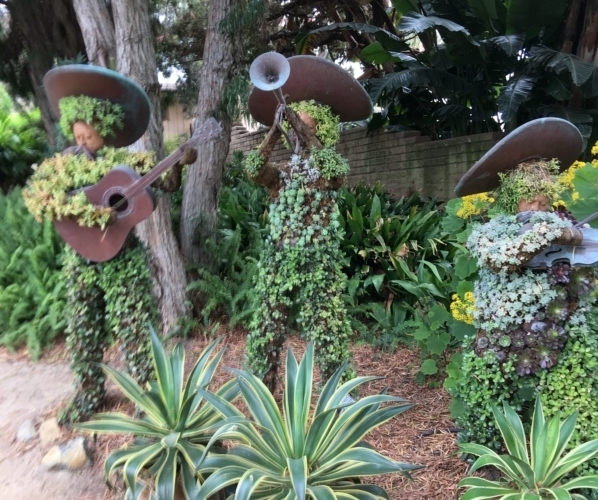 I loved the topiaries the Botanic Garden had created. I must admit they were a bit beyond my design capabilities but offer so much inspiration. When you looked closer it really didn’t seem that complicated. A simple wire frame, a planting medium such as spagnum moss and some soil. They used floral wire to initially attach the plants but as the plants become established and rooted I think that could be cut away. I also loved the wreaths and table arrangements. I’m really looking forward to creating some similar new designs for our Balet Flowers & Design customers this season. Hardy Zone 4-11: Sedum var., Sempervirens var.